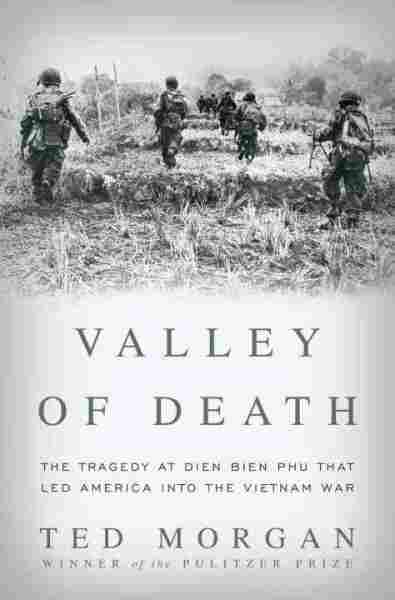 Book Review: 'Valley Of Death' By Ted Morgan -- Pulitzer Prize-winning author Ted Morgan's Valley of Death is the story of the brutal conflict — a fight led by the French to re-establish colonial rule in Vietnam — that led to the Vietnam War. The battle of Dien Bien Phu lasted months, but the fallout lasted decades. On March 12, 1954, the day before Vietnamese nationalist forces attacked the French military base at Dien Bien Phu, Viet Minh commander Vo Nguyen Giap proclaimed, "It is not Dien Bien Phu or Hanoi, but the whole of Vietnam that is the prize of this battle." History, of course, proved Giap right — the French loss at Dien Bien Phu resulted in both the end of the First Indochina War and the end of French rule in Vietnam. It also resulted in the division of Vietnam into two countries, an arrangement that was supposed to be temporary, but which ended up causing the Vietnam War. The story of the Battle of Dien Bien Phu is frustrating and heartbreaking — thousands were killed, thousands wounded — but it's key to understanding the events in Vietnam that would transfix the world in the decades to come. In his new history of the battle, Valley of Death: The Tragedy at Dien Bien Phu That Led America into the Vietnam War, Ted Morgan provides a compelling, detailed and extremely readable account of how Dien Bien Phu came to pass and what it meant for Indochina, France and the United States. Morgan, a French-born American citizen, French army veteran and Pulitzer Prize-winning reporter, proves uniquely suited to the task of explaining the battle and its impact on the midcentury world. The First Indochina War broke out shortly after World War II, when France attempted to re-establish its colonial rule in Indochina, which it had lost to Japan. The French plan wasn't universally popular — there were detractors in Vietnam, France and the United States (including the anti-colonialist Franklin D. Roosevelt). A nationalist movement led by Ho Chi Minh began to catch on in Vietnam, but the French, backed by the British (and, later, the U.S.) refused to give up their colony. Ted Morgan won a Pulitzer Prize for reporting in 1961. 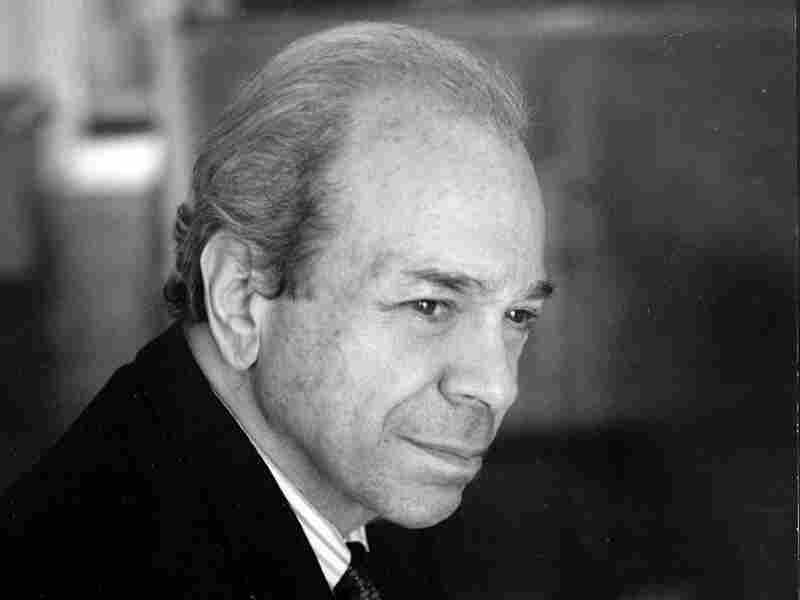 He was nominated for the prize again in 1983 for his biography of Winston Churchill. The war culminated at Dien Bien Phu, where the French established an airhead and base in an attempt to draw the Viet Minh liberation army away from the Red River Delta and prevent any Viet Minh attacks on Laos. But the plan was flawed from the start — the assumption that the base could repel a Viet Minh attack proved tragically wrong; the French troops in the valley were sitting ducks, surrounded on all sides by Vietnamese fighters in the jungles and mountains, who knew the terrain intimately. The battle lasted two months; the fallout, sadly, lasted decades. Morgan's skills at reporting and research are matched only by the quality of his writing — Valley of Death is as absorbing as any great novel; it's not a book that requires an extensive knowledge of military history to read. It's incredibly detailed, not only in the mechanics of the battle (and the worldwide political maneuvering that led to it) but in the testimony of the soldiers, commanders and witnesses who saw it firsthand. Maybe nobody can fully explain what happened at Dien Bien Phu in 1954, but Morgan comes impressively close, and the result is this fascinating, remarkable book. Sometime or other, before the day is over, just as a matter of fact in straightening myself out, I'd like to try and find out just what it was, and why it was, that Indochina seemed to move from an idea which President Roosevelt had when he was alive that the French were not going to end up back in Indochina, and then sometime or other in 1945 they ended up. I don't know how they got there or what happened or what was done. This all began when President Franklin Delano Roosevelt initially decided not to run for a third term in 1940. On May 8, Assistant Secretary of State Adolf Berle wrote in his diary: "It is understood that Roosevelt, unless the situation changes, will wait until the last minute and then issue a statement in favor of Mr. Hull." FDR was planning to endorse Secretary of State Cordell Hull for the nomination in July at the Democratic Convention in Chicago, before retiring to the life of a country gentleman in Hyde Park. He had a compelling reason not to run, as he told the Nebraska senator George Norris: "I am tied down to this chair day after day and month after month. I can't stand it any longer. I can't go on with it." He was only fifty-eight, but he was exhausted, imprisoned in his wheelchair, his withered legs the size of the crutches he used to get in and out of cars, and he smoked too many cigarettes. He spoke with enthusiasm about moving his papers to Hyde Park, where he would write twenty-six articles for Collier's at $75,000 a year. He told his visitors that he'd had enough and Hull was the man. By mid-May, however, the panzers had crossed the Meuse, demolishing the fortifications that extended the Maginot Line. On May 16, Berle revised his appraisal: "I really think the question of whether Mr. Roosevelt will run or not is being settled somewhere on the banks of the Meuse River. . . . He does not want to run unless circumstances are so grave that he considers it essential for the country's safety. . . . My private opinion is that circumstances are drafting him. . . . They are very likely to give us another four years for the President," breaking with the two-term tradition. In early June, FDR's outspoken secretary of the interior, Harold Ickes, told him that Hull would make a poor candidate and a poor president. FDR said that Hull would be a different kind of president: It should not be forgotten that Woodrow Wilson had known nothing about government prior to his election. Others told FDR that Hull was inept and that his wife, Frances, was Jewish. But at a White House banquet, the president sat next to her and told her to get used to such affairs. The unexpectedly swift fall of France changed Roosevelt's mind. By mid-June, Marshal Henri Philippe Petain formed a government and asked Hitler for an armistice. If the French had stopped the Huns, the war might have ended, but England was next, which meant the continuation of American involvement. The issue now was democracy against fascism. As late as June 20, however, FDR assured Hull that he backed him. Finally, on July 3, after the Republican Convention, which nominated Wendell Willkie, FDR told Hull he was running. Hull said he understood. On July 16, at the Democratic Convention, Senator Alben Barkley of Kentucky read a letter from the president saying he wanted to retire. Cries of "We want Roosevelt" arose, and on July 17, FDR was overwhelmingly nominated. He developed a pronounced animus against France, which he thought did not deserve to keep her colonial empire. Among the war's unforeseen chain of events, who could have imagined that the fall of France in June 1940 would be one of the decisive factors in the Japanese bombing of Pearl Harbor in December 1941. By 1938, in its war with China, the Japanese had taken Canton, the major port and trading center of South China, while Chiang Kai-shek had retreated westward to Chungking. Canton was up the Pearl River from Hong Kong, with the Indochina port of Haiphong five hundred miles to the west. It was at Haiphong that the bulk of Chiang's military supplies arrived. From the port, they were loaded onto the French-built Haiphong railroad, which lumbered northward across the Chinese border to the old walled city of Kunming, the capital of Yunnan Province. It was vital for the Japanese to choke off Chiang's supply line. Japan cast an angry eye toward Indochina, which allowed unfettered transit. The French colony was but a minor appendage to the south of the immense Chinese landmass, with a five-hundred-mile border with China and a thousand-mile coastline, seemingly glued as an afterthought to the Southeast Asian subcontinent of Burma and Thailand. To this barbell-shaped tail of China now known as Vietnam (the bells being Tonkin and Cochinchina, with the bar of Annam at one point only thirty-one miles wide), were added Laos and Cambodia: in all, an area about the size of Italy, mostly mountains and jungle, except for two fertile deltas, the Red River in the north and the Mekong in the south. These rice-rich floodplains provided the staple for twenty million natives, known as Annamites, while fifty thousand French colons skimmed the cream off an economy based on rubber, coal, tin, and tungsten. There is a Japanese saying that crisis and opportunity are a couple. In September 1939, when Hitler invaded Poland, Japan saw an opportunity. The Japanese complained to the French about the shipment of war material from Haiphong to Kunming to support the Chiang regime. The French replied that since war had not been declared between Japan and China, shipments would not be halted. To show their displeasure, the Japanese bombed the railway line. By June 1940, when panzer divisions were advancing on Paris, about 10,000 tons of war supplies were being shipped monthly from Haiphong to Kunming, and a backlog of 125,000 tons were piled up in the port's warehouses. As France collapsed, Marshal Petain asked for an armistice on June 16. Three days later, the Japanese government presented the French ambassador in Tokyo with a demand that all shipments of war materiel from Haiphong cease and that a Japanese control commission be allowed into the port to ensure compliance. The governor-general of Indochina, who had to respond to the Japanese demand, was General Georges Catroux, a distinguished officer who had fought in World War I. In 1940, Catroux was anti-German and pro-British, but when he asked for help from the British, the silence was deafening. He had no choice but to submit to the Japanese. Vichy's puppet government dismissed him in July, not because he had given in but because he was considered disloyal. Petain replaced Catroux with an obedient sailor, Admiral Jean Decoux, anti-British with fascist tendencies, who considered the Annamites a subject people. Just as Petain collaborated with the Nazis in France, Decoux gave in to Japanese demands on Indochina. The Japanese occupation was incremental. On August 1, 1940, they demanded the right of transit for their troops throughout Indochina, the use of airfields, and an economic agreement that turned out to be somewhat one-sided. Each time Vichy submitted to Japanese demands, new ones were made, much like a kidnap-and-ransom scheme. On September 22, 1940, a revised agreement provided for more Japanese airfields in Tonkin; permission to station 6,000 troops; and the right of transit of up to 25,000 troops through Tonkin to China. On September 27, Japan signed the Tripartite Pact with Germany and Italy, which tied its operations in the Pacific with theirs in Europe to form the Axis. Indochina was the first of many colonies occupied by the Japanese in Southeast Asia, as part of a secret program adopted in October 1940 called the Greater East Asia Co-prosperity Sphere. Co-prosperity meant that the Japanese plundered the raw materials of the lands they invaded, among them Malaya, Singapore, British Borneo, the Dutch East Indies, the Philippines, Siam, and Indochina. But since Indochina was ruled by the Vichy regime, while the other colonies were governed by the British, the Dutch, or the Americans, the Japanese allowed the French administration to remain in place. France was tractable and saved Japan from employing their already stretched manpower in occupation duties. The Japanese army called Indochina a "commissary line," which meant that its troops in China could be supplied from there, and also that the rice from Indochina would be used to feed them, while Japanese vehicles would roll on Indochinese rubber. Thus, in late 1940, the Japanese confiscated facilities necessary for the pursuit of war, from coal mines to rubber plantations to lumber factories. Vichy did not protest, for its aim was to maintain the colonial status quo until the war was over. In Washington, FDR's cabinet was divided over the president's Japan policy. His secretaries of war, the interior, and the treasury — respectively Henry Stimson, Harold Ickes, and Henry Morgenthau — were opposed to letting Japan buy U.S. oil, scrap iron, and steel. His secretary of state, Cordell Hull, as well as Hull's number two, Sumner Welles, were involved in delicate negotiations with the Japanese, which could be disrupted by bans on exports. The other three felt that the president was "coddling the Japs." In July 1940, Ickes noted in his diary that the "glacially lofty Sumner Welles objected strenuously to putting petroleum products and scrap iron on the list for licenses." Ickes was irate. This was a time when oil for Spain was being transshipped to German U-boats right at the Spanish docks, while Japan had contracted for all the airplane gasoline on the Pacific coast for immediate delivery. Stimson warned FDR that the Japanese were trying to corner the aviation-fuel market. On August 16, FDR told Morgenthau that "we mustn't push Japan too much or she'll take the Dutch East Indies," which had plenty of oil. But Ickes pointed out that if the Japanese came in, the Dutch would blow up their wells and refineries. Morgenthau kept himself informed on Indochina, where the French had caved in by signing a pact on September 22 that allowed Japanese troops to move in. Morgenthau noted in his diary: "Hull is out on a limb. He has twice scolded Japan if she goes into Indochina." When the Japanese signed the Tripartite Pact with Germany and Italy on September 27, calling it a defensive alliance, Hull said: "That's like Jesse James and Cole Younger going into an alliance for self-defense." He seemed to be firming up. But Hull still held back on interdicting scrap iron to Japan. He said the situation was delicate and the Japanese might take over Indochina at any time. Ickes felt that by selling them oil and scrap "we have made it possible to continue their career of aggression." Finally, on September 29, 1940, FDR embargoed shipments of steel and scrap iron. But oil was still flowing. Morgenthau thought it was too little, too late. Ickes was convinced that Hull wouldn't do anything about oil until his hand was forced. Hull was "useless," Ickes wrote in his diary. After FDR's election to a third term, Ickes was named petroleum coordinator for national defense. He was increasingly incensed that the United States was shipping oil and gasoline to Japan while rationing "our own people." On June 8, 1941, he told the president that the press was raising hell. FDR said, "Give Cordell a few more days." Ickes felt that Hull was being gulled by the Japanese. On June 22, Ickes learned that more than two thousand barrels of lubricating oil were being sent to Japan aboard one of their tankers, which was docked in Philadelphia, at a time when U.S. plants could not meet their own needs. Ickes boiled over, and had the shipment held up. FDR "pinned my ears back," he wrote in his diary, for not consulting with the State Department. The president told Ickes that the United States and Japan were engaged in delicate negotiations. Furthermore, he saw oil as an integral part of foreign policy, not to be messed with by Ickes. By this time, Hitler had invaded Russia, forcing Japan to make a difficult decision. Should they also attack Russia, from the Siberian side, or should they prepare to invade the colonies of Southeast Asia, using Indochina as an advance base, so they could assure their supply of raw materials in case of war with Britain and the United States? In his ongoing talks FDR was aware of the disconnect between the Japanese government, still working through diplomacy, and the Imperial Army, which was preparing for war. On July 1, 1941, he informed Ickes that "the Japs are having a real drag-down and knock-out fight among themselves . . . trying to decide which way they are going to jump attack Russia, attack the South Seas . . . or whether they will sit on the fence and be more friendly with us. . . . It is terribly important for the control of the Atlantic for us to help keep the peace in the Pacific. I simply have not got enough Navy to go around — and every little episode in the Pacific means fewer ships in the Atlantic." At this point, FDR was still trying to avoid war with Japan. But in July the situation changed dramatically. From Valley of Death by Ted Morgan. Copyright © 2010 by Ted Morgan. Excerpted by permission of Random House, a division of Random House Inc. All rights reserved.